Fencing, trellising, gates and arches as well as being functional requirements in your garden should also be attractive and add to the garden not detract from it. 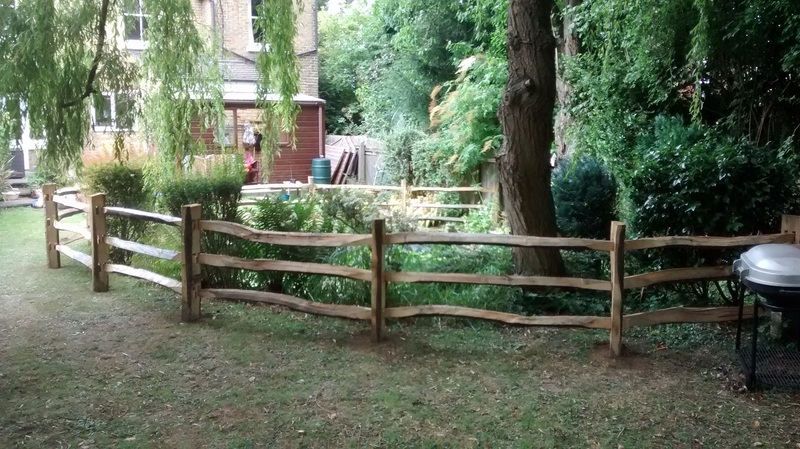 Whether you need to screen part of the garden for aesthetic reasons or you want something to grow a rose or clematis over we can create something unique to do the job. From simple replacement of a rotten lap panel to traditional chestnut post and rail fencing and everything in between we can give you ideas and suggestions to build something that will enhance the garden rather than detract from it. 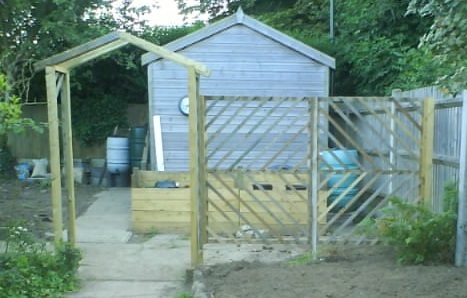 The simple arch and trellis opposite were built to screen the compost heaps and frame the top part of the garden. The trellis was bespoke-made in style and size and is just a little bit different from the standard square trellis panels from the garden centre. This set of drive gates were made to replace an old set which the customer had long wanted to replace but didn't know where to go to get a tailor-made product. Again they were made from scratch to the customer's exact specifications as she wanted them to match her path gate.